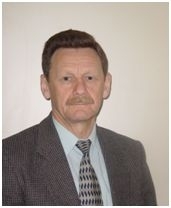 Dr. Alexander A. Temeev – the ATC director and projects leader. Dr. Alexander A. Temeev in recognition of outstanding achievements in natural science and engineering was awarded the “Order of Merit” and the medal “One Thousand Great Scientists” by the International Biographical Centre, Cambridge, England. The American Biographical Institute, USA. included him into the issue of “Leading Intellectuals of the World”. His name was included in “Who’s Who in science and engineering” & “Who’s Who in the World” of A.Marquis Who’s Who publication, USA. He also is a member of The World Renewable Energy Council and of the International Academy of Ecology and Nature Management.